This patch also includes changes that will be released to live servers later this week. You can find those notes at the bottom. Quest: Hit enemy Heroes with Biotic Grenade. Reward: After hitting 10 Heroes, Biotic Grenade does 75% more damage per allied and enemy Hero hit. Reward: After hitting 20 Heroes, Biotic Grenade's duration on allies is increased from 3 seconds to 12 seconds, and its healing radius is increased by 100%. Quest: Hit Heroes with Sleep Dart. Reward: After hitting 10 Heroes, Sleep Dart now hits 2 Heroes and its range is increased by 50%. Reward: After hitting 20 Heroes, Healing Dart now hits 2 Heroes and its range is increased by 50%. Quest: Stack 5 Doses on an enemy Hero. Reward: After reaching maximum Dosage 5 times, Doses deal 50% increase damage to enemies with 5 Doses. Reward: After reaching maximum Dosage 15 times, unlock the Active Reload Ability, which can be activated to instantly gain 3 charges of Healing Dart. Activate to use Biotic Grenade with a 275% increased range, but Grenades thrown this way take 4 seconds to land. Passive: Reduce Biotic Grenade cooldown by 4 seconds. Hitting enemies with Sleep Dart and Biotic Grenade applies 2 Doses. Shrike can be activated to increase vision radius by 112.5% and Basic Attack range by 2 but reduce Movement Speed by 20%. Lasts until canceled. Every Dose a Hero has reduces their Spell Power by 15%. Assume a sniping position, gaining the ability to fire up to 8 specialized rounds with unlimited range. Rounds hit the first allied or enemy Hero or enemy Structure in their path. Allies are healed for 300 and enemies are damaged for 175. Deals 50% less damage to Structures. Ana is unable to move while Eye of Horus is active. Eye of Horus rounds explodes upon impact, healing nearby allies for 300 and dealing 150 damage to nearby enemy Heroes. Upon stacking 5 Doses, Heroes are Slept for 2 seconds. "While we’ll be continuing to keep an eye on it, we believe that the Butcher’s quest tuning is appropriate. He has seen a significant drop in win rate in Hero League since our last round of changes..."
So a significant drop in win rate on a hero that probably didn't have a high one to begin with is appropriate? Not that I've seen Butcher more than...once in pro games. The Johanna rework is a bit odd. There are a few heroes out there that need it more. !Quest: Hit 4 enemy Heroes with a single cast of Punish. !Reward: Punish now always slows enemies by 80% and no longer decays. Falling sword also has more engage potential with the slow. You can get 125% more damage on it as well on 13 if you hit 2 or more Heroes. We get a make mages work again support yay. OMG I love the Johanna buffs. But Sins exposed on level 4 wow. The take down potential is insane. Nice to see some mana cost increase too. Got to play the Kelazhur patch Leoric for the first time, wow the 13 and 16 E talents are crazy. It's silly how often you can spam Q+E in fights. D.Va The Destroyer is due for release on the 3rd of October, and will also come with a cool looking splash screen. You can actually try D.Va the Destroyer prior to her release by typing into a chat channel "battlenet://heroes/skin/98/DVatheDestroyer", and then clicking that link. This is currently only possible on the PTR. Malfurion's Mana cost for Regrowth(Q) has been reduced from 45 to 40. Auriel's Energizing Cord now increases the amount of energy she gains from damage from attacking enemy heroes by 115%, from 110%. Artanis has had the bonus damage from Amateur Opponent reduced from +150% to +50% vs non-heroes. This has been confirmed to be a bug by the devs. Heroic summons have been given unique minimap icons. 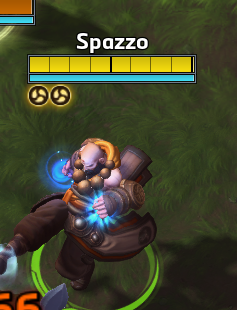 A whole slew of abilities now reveal the area where they hit, an example of this is Kel'Thuzad's Shadow Fissure, where previously the only way you'd know you hit someone is if your damage counter went up - now it provides vision of where you hit. It seems likely that Junkrat will be released on the 17th of October, as the Ana patch contains data for weekly bundles till the 10th. This is not for certain, but the Kel'Thuzad patch only had bundles up till the 19th, and Ana is due for release on the 26th. Voice chat is likely coming soon, as UI elements have been updated, and a whole slew of icons have been added. See the thread /u/ahli made for more information. Patch will go live later today in NA. If Ana goes live as she was on PTR, Mind-Numbing Agent makes opposing mages and spell power heroes pretty worthless at level 7. Doses are pretty easy to stack and when every Dose a Hero has reduces their Spell Power by 15% it doesn't take much to make them non-threats. On the flip side with no self heal outside of grenade, she will struggle as a solo support. Mercenary item drops no longer require a short channel time to be picked up. Developer Comment: This change is aimed at making the flow of picking up items from mercenary camps smoother and more intuitive. We found the flow of defeating a mercenary camp, capturing it, then channeling on the dropped item was disruptive to what players are accustomed to with typical mercenary camps. Support Camps can no longer be captured with "Bribe" talents. Developer Comment: Thanks for all of the early responses on Volskaya Foundry. We’re making this change in response to consistent community feedback. Auriel: Fixed an issue causing the Energized Cord talent to grant slightly too much Hope with Auriel's Basic Attacks. Genji: Dragon Blade will no longer benefit from cooldown reduction abilities such as Innervate and Nano-boost. Could be, or could be around the Ana balance patch. He doesnt need a Nano Blade here since he has shurikens. Haha my first Heroes game with an Ana was just like in Overwatch. Low health Ana runs up ... miss ... stands still misses again into Grenade. Loving it. Conveyor belts are also super funny for some skills. I wonder if you can stack Abathur Mines on a single spot with the conveyor belts. Probably not. Might be other stuff that can stack though. Moving Mosh Pit will be funny to see. Ana is really fun and strong with another support, but you need good positioning. It's cool that you can make some plays with the sleep dart and different healing dart talents. Nano Boost is kind of good because of its short cd so sometimes you can just give someone 200 mana without being in a fight. But mostly I pick it because the sniper ulti is useless. I think her talents need buffs cause most choices are mediocre, but she becomes really powerful at 16 with the grenade build, I don't think there's any other viable build really. Played the new brawl, and wow people have no idea how to play the giant robot. But I love the robot and wrecking everything in its path. Idk, eye of Horus seems relatively strong in certain scenarios. I was able to "1"v2 due to getting the healing from her across the map.